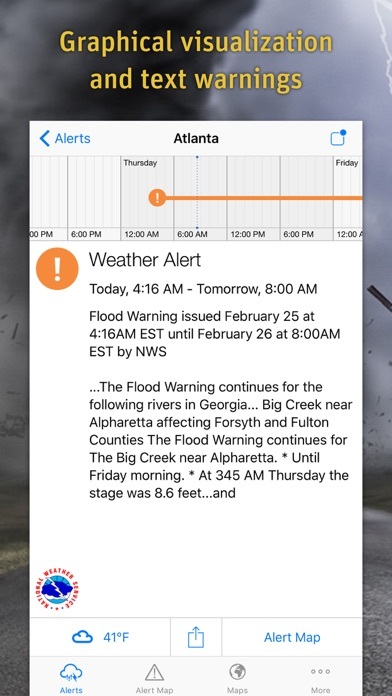 Be warned and be prepared! 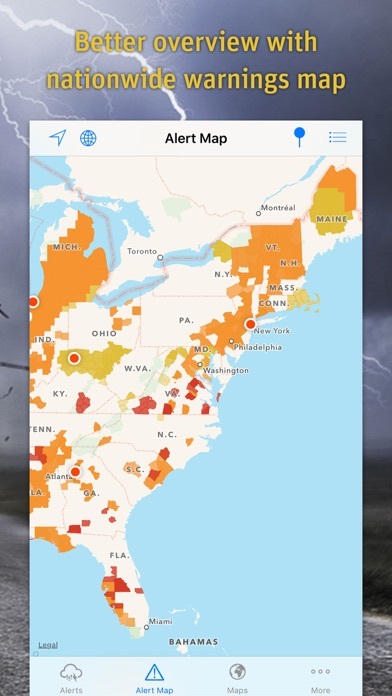 AlertsPro is the innovative app from MeteoGroup which forewarns of severe weather conditions such as storms, heavy rain, thunderstorms, hail, heavy snow, freezing rain and extreme temperatures. 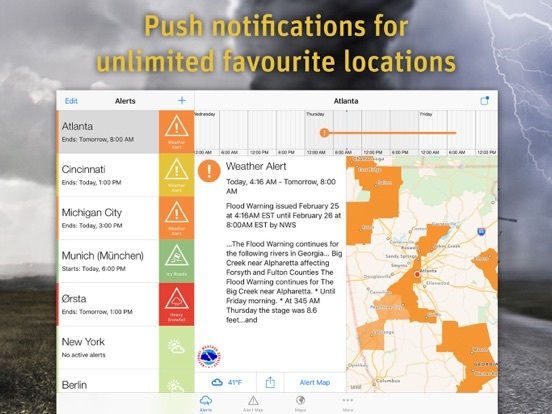 Also behind the best selling WeatherPro app, MeteoGroup is one of the few private weather companies to operate its own Severe Weather Centres – including the very popular www.severe-weather-centre.co.uk. 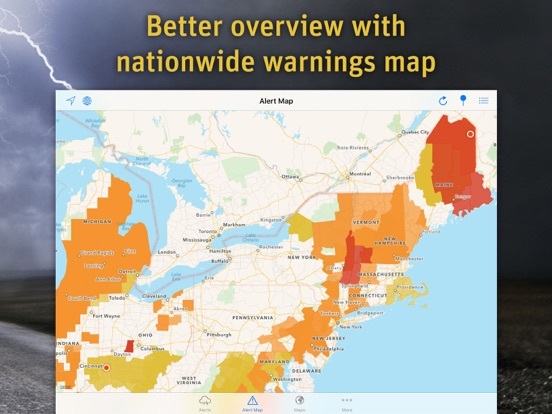 AlertsPro now brings this online warning service direct to your portable device with coverage of most of Europe (Austria, Belgium, Denmark, Germany, Finland, France, Ireland, Italy, Liechtenstein, Luxembourg, the Netherlands, Norway, Portugal, Sweden, Switzerland, Spain and the United Kingdom) and the USA (National Weather Service). 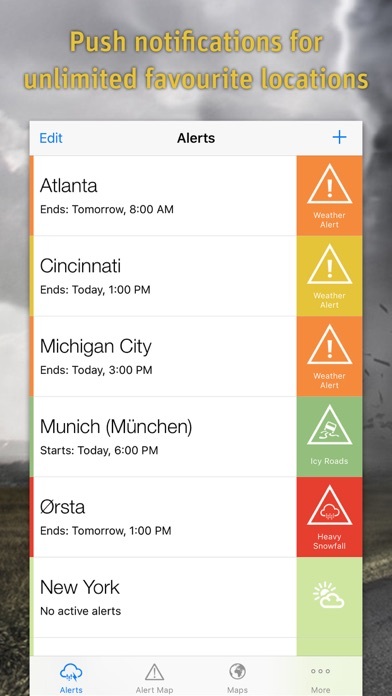 The Premium option allows you to choose which alert level you would like to be notified of, for each severe weather condition. 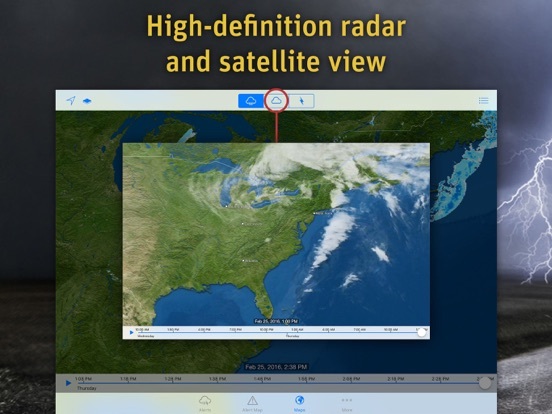 You can activate the lightning layer, and animate the radar and satellite maps. 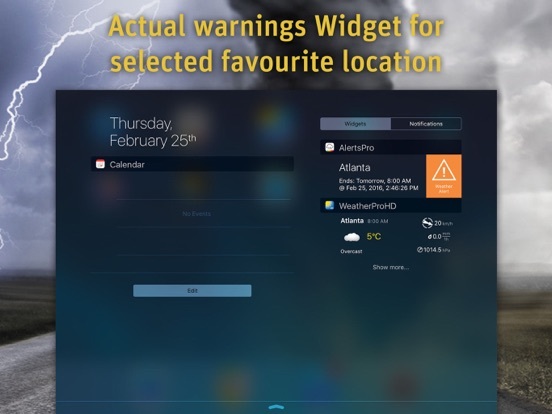 When you long press on any coloured area on the warning map, further details of the severe weather for that location will be displayed. The Premium version also gives users a better viewing experience by removing all ads! 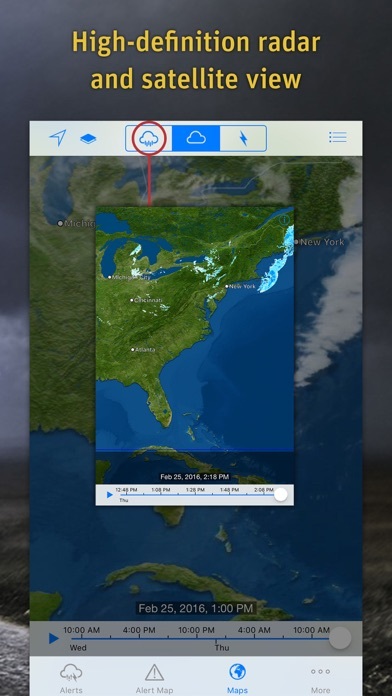 For more details please visit www.alertspro.com or our help center https://meteogroup.zendesk.com. 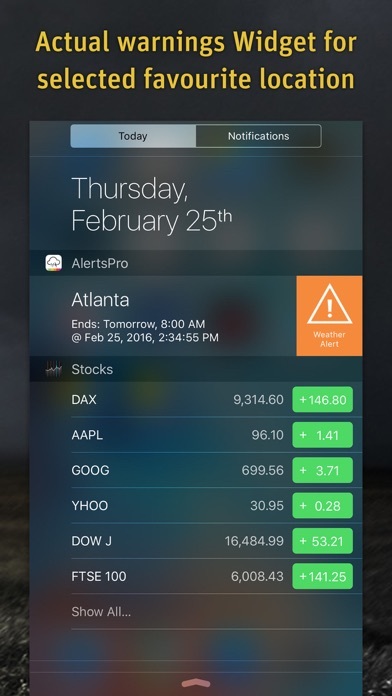 We hope you enjoy AlertsPro and thank you for your feedback!